The state’s Division of Juvenile Justice said the number of kids being sent their way is almost half what it was 10 years ago. When a minor is arrested or charged with a crime, they’re generally referred to Juvenile Justice for punishment or treatment, or both. The reason behind the decrease isn’t completely clear, but it’s a nationwide trend. Two juvenile crime experts said we have to remember the past to understand today’s lower numbers. Wood has witnessed the decrease firsthand. He started with Juvenile Justice in 1990. Wood doesn’t know for certain why the number of referrals fell off so dramatically, but he has some ideas. “We have better services in the communities, we have better mental health services, we have better responses, kind of up and down the continuum, and perhaps that is leading to less kids being arrested,” Wood said. Melissa Sickmund, the director of the National Center for Juvenile Justice, agreed with Wood but wanted to approach the question from a different direction. “You’re asking the question about, ‘Why did things come down?’ I think we need to step back and first ask, ‘Why had they gone up?’” Sickmund said. 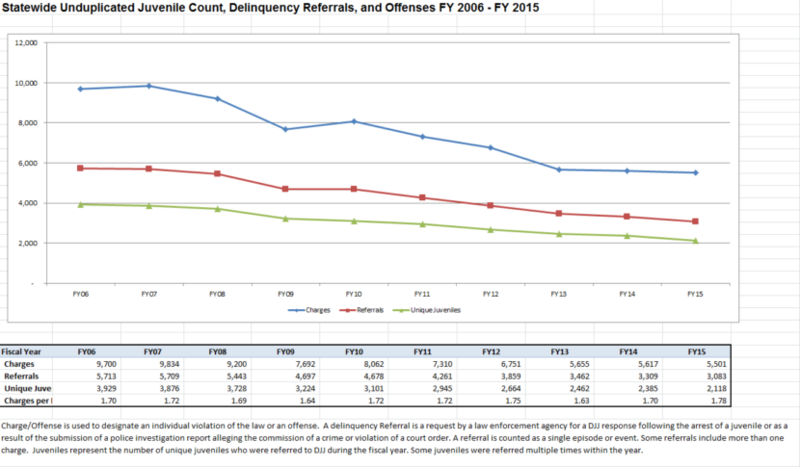 She pulled up a graph of violent juvenile crime arrests in the U.S. since 1980. The arrests started climbing in the late 1980s, and peaked in the 1990s. The line fell hard after the 1994 peak. Each year, Sickmund said she waited in suspense to see if the crime numbers had fallen again. They kept going down. There were years when they rose again but not by much and then they fell even more. Sickmund emphasized that this is national data and every community is different. However, numbers from Alaska show a similar trend. So why did it happen? Sickmund pointed to one specific drug. Wood and Sickmund both said the crack industry was extremely violent and Sickmund said kids played a huge role in it. 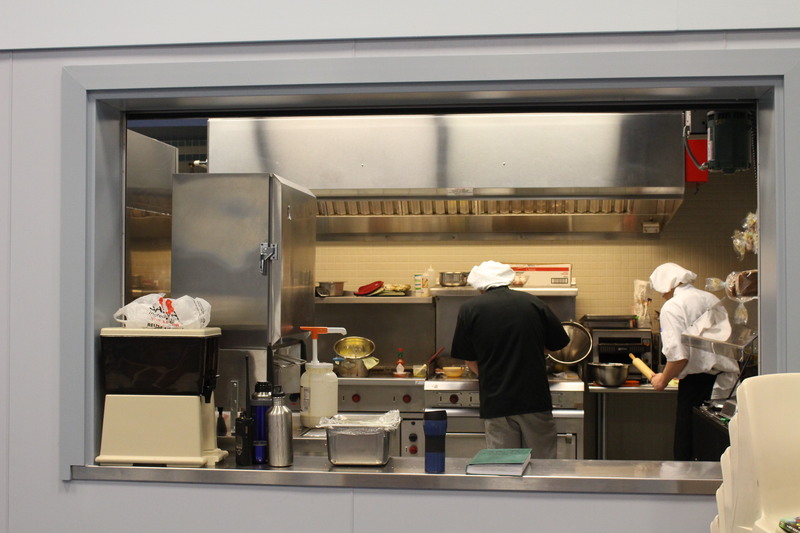 “Everybody responded to it,” Sickmund said. Everybody included parents, schools, legislatures and law enforcement. She said everybody did what they could to reduce the violence and eventually it turned around. The result in Alaska is eight youth detention facilities that are housing fewer juveniles than they could hold. Wood said in the 1990s, the Anchorage youth center had a capacity of about 30 kids but averaged around 70. 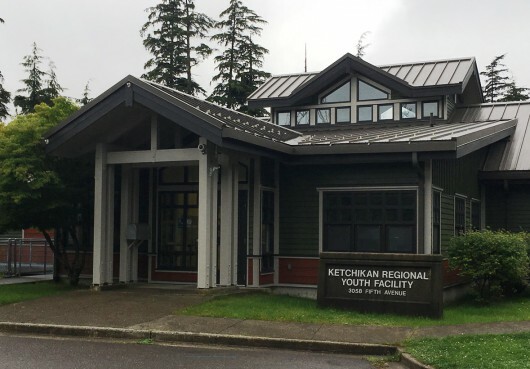 The Ketchikan Regional Youth Facility is closing on Sept. 15 and its youths will be sent to Juneau’s Johnson Youth Center, which is also under capacity. Both have been housing a fraction of the juveniles they were built to hold.